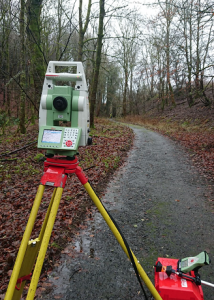 We have been surveying a proposed cycle route in the Trossachs. The route is a disused railway line and thankfully was undertaken in winter with vegetation dormant. Timescale and close working with landowners and stakeholders were key to this job. This entry was posted in News and tagged 3d, cad, construction, control network, cycle route, cycle way, design, digital level, disused, dunfermline, feno, fife, gps, historic, laser, levelling, maps, markers, mason, os, pgm, railway, survey, sustrans, topo, total station, uk. Bookmark the permalink.